Montreal Canadiens general manager did just say he wouldn’t “give up assets for the short term”, but his word has never stopped him before. While goalie Carey Price is arguably still the Habs’ most valuable player, no player on the team has had more of an all-star-caliber season than Jeff Petry. Poised to hit career-highs in goals and points for the third-consecutive season, Petry successfully stepped up in Shea Weber’s year-long absence. If Bergevin were looking to stockpile assets, no Hab would bring in as much of a haul as Petry, hence his inclusion on this list. 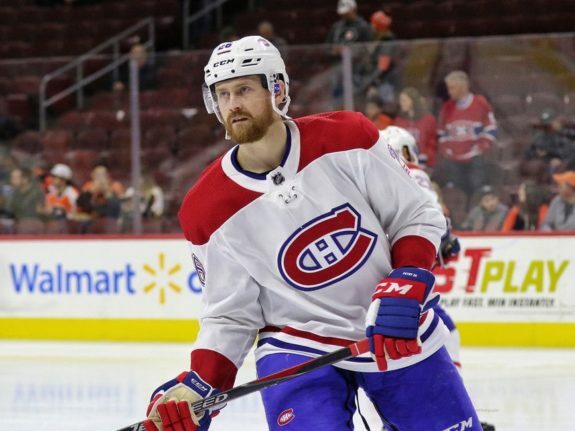 Petry takes the lowest spot, because the wisdom of trading away a puck-moving defenseman in this new NHL, one who is showing no signs of slowing down with a contract that’s looking more and more like a steal, is debatable. For the right price, anyone should be available though, especially a defenseman who, at 31 years of age and at his highest value ever, may run counter to Bergevin’s goal to build for the future. If the tank is on, Petry could conceivably be put on the block. It may not be the smartest decision, but stranger things have happened. Admittedly, first Andrew Shaw would have to get healthy before his name officially appears on the trade block. 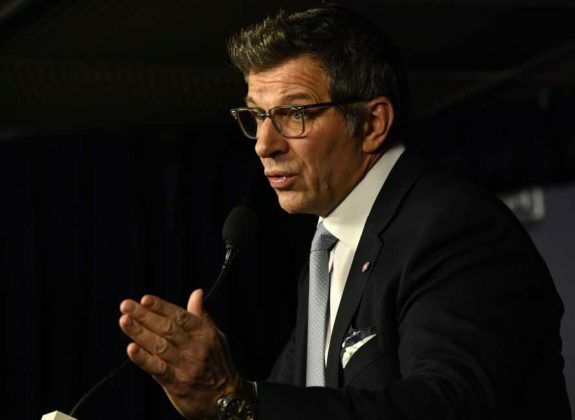 Second, Bergevin would have to look past his history with Shaw, which dates back to when the two were with the Chicago Blackhawks organization. Third, seeing as Bergevin gave up a pretty penny for Shaw (two second-round picks, including one that turned into Alex DeBrincat), he may be reluctant to part ways with the two-way forward. The flipside of the argument is guys like Shaw, who are seen as possessing grit, leadership and Stanley Cup experience and can fit in anywhere in the lineup, are exactly the ones in whom teams are most interested come the trade deadline. Consider the reported price on a guy like Micheal Ferland. The Carolina Hurricanes forward is having an incredibly successful year, but still has one point less than Shaw. Seeing as they’re thought to be looking for a first-round pick and a prospect, Bergevin would have to at least consider it should the opportunity to move Shaw arise. It’s his job. It’s also technically what he said he would do. It wasn’t that long ago 25-year-old Charlie Lindgren was perceived as the team’s heir apparent to Price. Unfortunately, it was even less long ago rumors began surfacing that other teams are interested in Lindgren. Considering the team’s precarious depth in nets, it seems unlikely that Lindgren could be made available and, yet, with Price signed long term with a no-movement clause, does anyone legitimately believe the organization will give anyone a shot at usurping the guy? 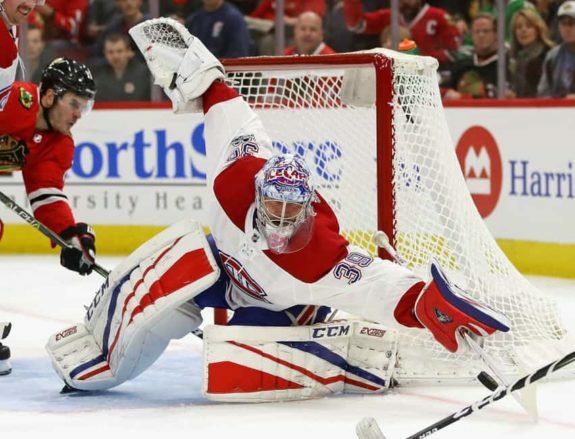 Since they traded away Jaroslav Halak in 2010, the closest the Canadiens have come to nurturing a young goalie behind Price on the big club was maybe Mike Condon. And he was only given a chance to shine because Price was out throughout 2015-16, “given a chance to shine” being a polite way of saying “thrown to the wolves” out of organizational desperation. Now, Price is playing better as of late. That could be a sign to Bergevin that, if a high draft pick could be attained for Lindgren, it might be worth it, especially for a team whose trend is to treat goalies behind Price as fodder, whether of the cannon or trade variety. 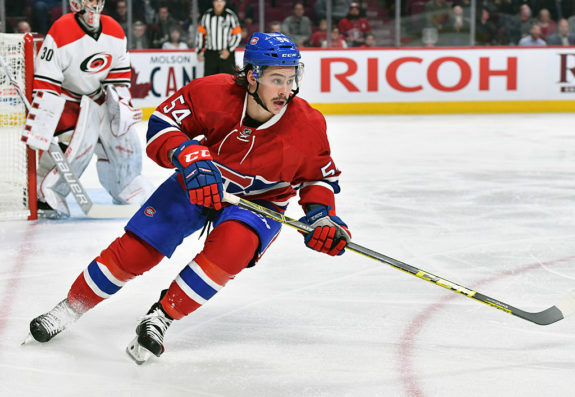 Rumors have also surfaced that Charles Hudon has asked for a trade. Of course, the legitimacy of those rumors has come into question, but what is perfectly clear is how Hudon rarely plays. He’s dressed in just 24 games with a meager three goals and four points to his name. That might not get the barometer moving all that much, but, after his modestly successful rookie season last year (10 goals, 30 points) and a starring role in the American Hockey League prior to that, everyone knows Hudon has talent. At just 24, he can still conceivably put it all together. It’s becoming less likely it will be with the Canadiens with each passing game he’s made a healthy scratch in favor of players with less upside like Kenny Agostino, Michael Chaput and Nicolas Deslauriers, though. While the argument is it makes no sense to play Hudon in a checking role because of his skillset, if there’s no room for him elsewhere in the lineup not trading him isn’t just doing him a disservice but the team as well. Letting him and his trade value waste away helps no one. Defenseman Jordie Benn is the only player on this list who checks all the boxes. He is over 30, is considered, internally at least, to be a valuable role player and has an expiring contract. Goalie Antti Niemi is a pending unrestricted free agent too, but, whereas he is having a statistical season to forget, Benn is having a respectable one with 10 points so far. His career-high 20 is within reach, which should be more than eye-catching to other teams, considering the third-pairing defenseman Benn is. Granted, most of his ice time has been with Petry on the top pairing, but seven of his points have actually come since Weber’s returned and he’s dropped on the depth chart. In fact, with the emergence of Brett Kulak on the left, Noah Juulsen on the right (even if he’s injured right now) and options such as Xavier Ouellet and David Schlemko available on the farm, Benn has been rendered almost obsolete. 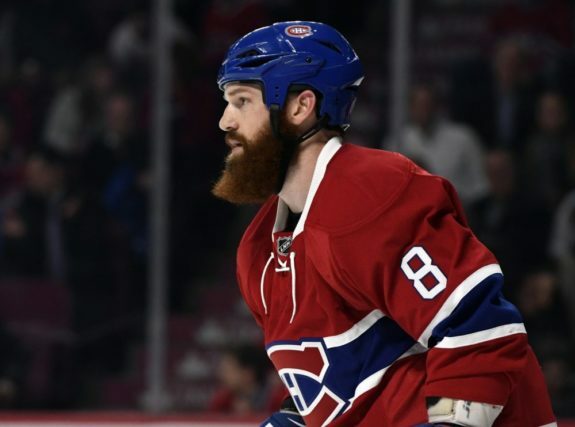 He’s still valued by the coaching staff, which might make it hard to part with the guy, but getting something in return for a decent depth defenseman the Habs might otherwise lose for nothing? It’s undeniably what’s best for the future of the organization.